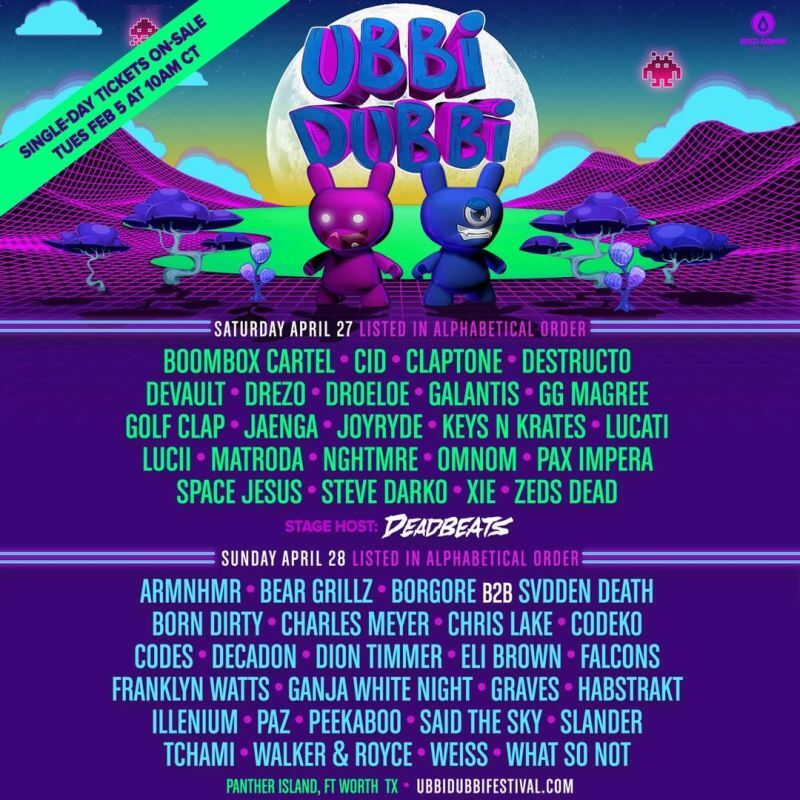 17 Apr Ubbi Dubbi Festival Is Coming to Fort Worth, Texas! Welcome to the World of Ubbi Dubbi! 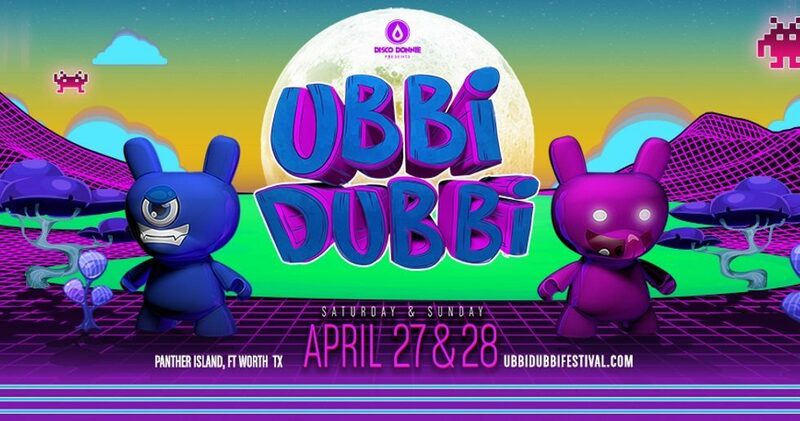 On Saturday, April 27th and Sunday, April 28th, Panther Island is kicking off the Ubbi Dubbi Festival in Dallas, Texas. From the people who brought you Freaky Deaky Texas and Sunset Music Festival comes Ubbi Dubbi. Disco Donnie Presents created a whole new world of electronic adventure awaiting you! Referencing the language of the 1970’s show Zoom, the theme for the festival centers on two best friends Ubbi and Dubbi who washed up on Panther Island. Expect to see DJs from the land of wubs, dubs, untz, bleeps, and bloops across three stages. Dubbi loves dubstep and trap, while Ubbi likes techno and house, but together, the inhabitants of Panther Island promise to give everyone at the festival something to dance about. Disco Donnie Presents will deliver powerhouse, quality-driven, and extravagant stage and light show design throughout the weekend. When the phase 1 lineup was announced and Boombox Cartel, Borgore, Destructo, Galantis, Ganja White Night, Illenium, and Zeds Dead were only a few of the artists revealed. The lineup already shows its diversity, and many Texas fans are ready for the spring. An additional 25 artists announced in phase 2. Festival goers will hear the sounds of Borgore B2B Svdden Death, Graves, Illenium, Said The Sky, What So Not, and more! Purchase your general admission or VIP tickets while they’re available. Of course, you can also set up a payment plan upon purchase. The festival kicks off at 3 PM until midnight, and the festival is 18+. Click here to get your tickets today. Will we see you at the Ubbi Dubbi Festival?! Swipe up to comment below and let me know!